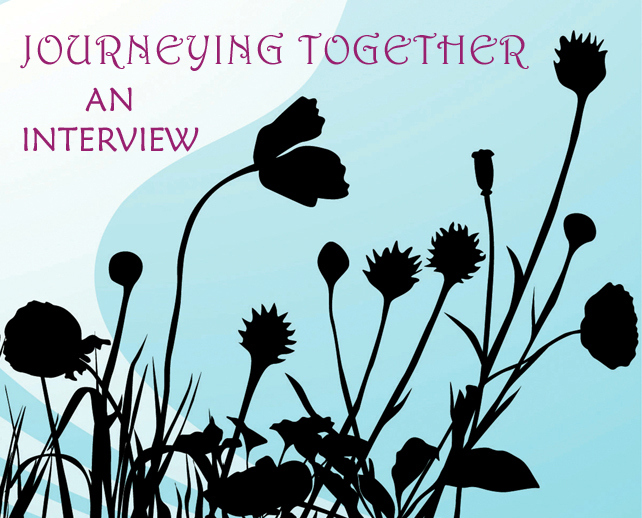 All nine of us participated in this group interview, answering questions about our stories in the book, Journeys to Mother Love. We’ve enjoyed getting to know each other better through this process, almost as if we were sitting around a living room and sharing round the circle. Pull up a chair and listen in! 1. Did you laugh or cry, or both, while you were writing your story? Ellen Cardwell: Surprisingly, I didn’t do either. Rather, writing the story released something inside that needed to come out. I feel lighter now whenever Mom comes to mind. Treva Brown: I completely did both. I also felt anger, but was able to fully release it quickly. Ardis Nelson: I went away to a secluded camp so I could focus on writing and prayer. I cried at times. Now my tears are tears of joy. Kerry Luksic: In writing this story, I had plenty of tears. My mom was diagnosed with Alzheimer’s eight years ago. It was hard to accept that there’s no cure and that it’s progressive–Mom would only get worse through each heartbreaking stage. But in sharing this story, the tears I shed were healing for me. Loritta Slayton: I don’t think I did either, but I felt the emotions again–the upset, the struggle and the joy of what God accomplished in me that I couldn’t do for myself. Kyleen Stevenson-Braxton: I always cry when I write about God’s grace in giving me two beautiful adopted children. It reminds me afresh of his mercy and love. 2. What do you especially relate to in one or more of the other women’s stories? A.R. (Alice) Cecil: I can relate to all the other authors in JOURNEYS TO MOTHER LOVE. We all found the only way to healing is through Jesus Christ, and we all want to help others by sharing our experience. Catherine Lawton: Treva Brown tells of how her mother died even younger than mine did (and by much more violent circumstances). I relate to her regret over some of the words she had said to her mother, and wishing she had said certain other words before it was too late. Ellen: The last part of Loritta Slayton’s story, “White Knuckles,” took me back to when my mother needed my help and our roles were reversed. God encouraged and enabled her to let go of hurt feelings and journey down the path to love. 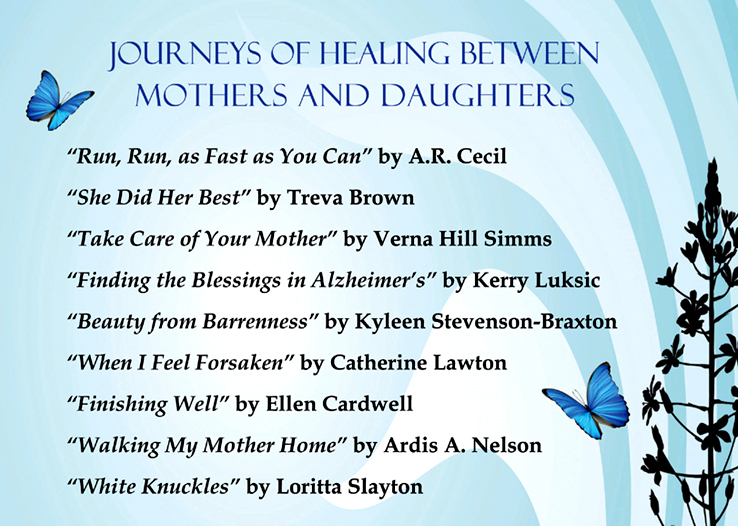 Treva: In “Walking My Mother Home” Ardis Nelson wrote, “I was embracing the parts of my mother that were in me.” I am currently doing that now, so it really touched my heart. Ardis: I think I was the most moved by Loritta’s story. I felt her pain with each decision she made along her journey with her mother. The ending to her story was a fitting ending to the book—very encouraging. Loritta: The emotional process of their hurts being released to God and their journeys of walking it out with Him speak to me. I was moved by Treva’s descriptions of this process. 3. In what point in your relationship with your mother or child did you realize you needed relational healing? Alice: My mother was always closer to me than any of her other children; I sensed her unhappiness and wanted to try to be there for her. Then in my early twenties I left home for the city to work. Transported into the world, I began to see not all the ways in my childhood home matched the ordinary way of going about life. 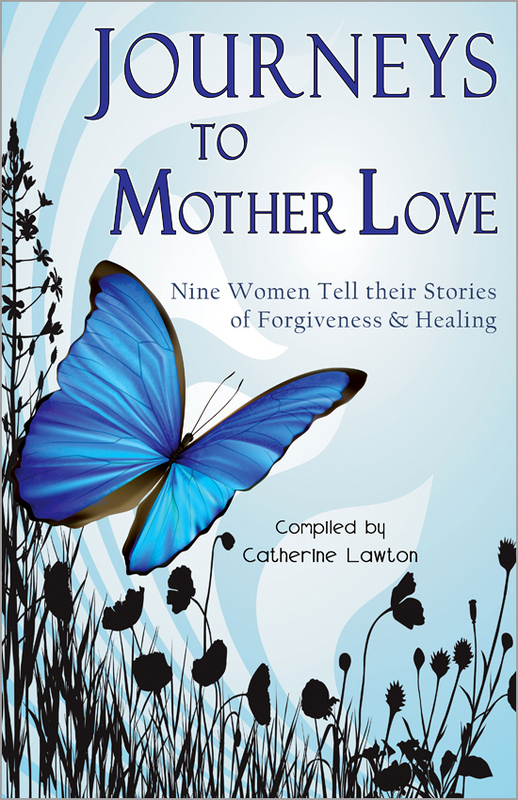 Catherine: The need in my heart became evident when I was going through grief over my mother’s death. As you can read in the book, the Lord has ways of healing our relationships even when separated by distance, disease or death. Ellen: When I was a new Christian and learned how important it was to forgive others. Also at that time, the relationship with our mothers was a topic of discussion with my close friends, all of whom felt they had emotional gaps that their parents, especially their mothers, hadn’t filled. Treva: Years after she died. It was a hard journey because I was unable to talk to my mom and hear her respond. But I wouldn’t change a thing, for that is where I truly encountered God. 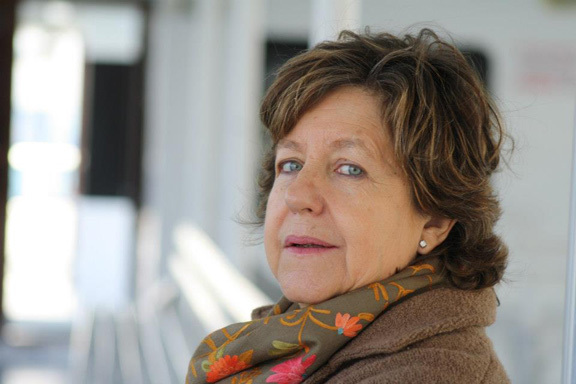 Loritta: I knew most of my life that it wasn’t what it should be. But when I read A Daughter’s Journey Home, by Dr. Linda Mintle, some of the pieces of the puzzle came into focus. I began to pray about my relationship with my mother and ask God to work in us. And my journaling with God and the listening practice opened the door significantly. 4. What makes the mother/child relationship so significant? Ardis: I think the mother/child relationship is a mirror of the love our heavenly father has for us. Kerry: I never realized until I had my own children, but at the end of the day, a mother’s love for a child is the strongest bond that exists. Kyleen: I think that, since I wanted children and was unable to have them, it has made me appreciate what so many women take for granted. I envy the blessings of being pregnant, of giving birth, of seeing your features in your child’s face, of knowing they came from your body. But God has taught me that he is the maker of families, and I am blessed knowing that Jesus, too, was adopted (by Joseph). So my children are to me the very face of God. To me they represent all that he is – his goodness, kindness, and love. 5. What events, sensory experiences, etc., trigger your memories of your mother? Catherine: My mother had a quip, saying, or song for every situation or occasion, it seemed. Those sayings and songs pop into my head often and remind me of her. I still “hear” her voice. Ellen: Going to the farmer’s market, smelling apple pies baking … sewing, bringing flowers into the house … Thanksgiving and Christmas holidays. Treva: A certain Dolly Parton song, camping and eating spaghetti. My mom loved spaghetti. Ardis: This may sound strange, but I think I am most reminded of my mother in my writing and speaking opportunities. I feel that she would be proud of me for who I am finally becoming, and that gives me a great sense of her presence with me. In a way, this makes up for not having her there when I was young. Loritta: She enjoyed flowers and colors in shades of purples, aquas, violets. Just this week I walked past orchids in the grocery store that are tinted in those tones and thought of her. 6. Do you ever see your mom in yourself? Catherine: Every time I make the choice and the effort to be positive, to engage with other people when I feel like pulling away … I think of my mother who modeled those attitudes to me. Ellen: Yes. She had an authoritative way of speaking. She would make pronouncements (not always based on facts), pontificate, and discourage discussion. I still find myself sounding like her, even though I’ve tried for years to overcome it. When I notice myself doing the same thing, it lets me know how ingrained her attitudes were/are in me. I feel frustrated that it’s still there inside my personality. Then I’m motivated to revisit my efforts to change and make it more of a priority to do so. Treva: At times I do. I used to despise it. But God was able to bring me to a place of embracing those characteristics and bring me more understanding of my mom. Verna Hill Simms: I remind myself of Mother every time I sit in the living room and watch for the mail carrier. Mail means a lot to me as it did to her. Ardis: This question hits to the core area of my personal healing when my mother died. I was able to integrate and embrace the parts of my mother that I had been rejecting all my life. Thanks to the Lord’s work in me, I am no longer embarrassed by our similarities. Kerry: Yes. I especially see my mom in myself when I’m faced with a tough challenge. My mom never gave up on anything and she leaned on her faith during the hardest times. When I’m going through a tough time, I think of mom and follow her example. Whenever I feel like life is a bit too hard, I remember my mom’s example and immediately feel stronger. 7. In what way is mother love a journey? Alice: I wonder how God would have brought me along without children! I know there are people who do not have children and who have a deep relationship with God, but God knew I needed children! Ellen: For me, mother love grew from an unrealistic ideal to a reality based on experience. Each stage of our children’s growth, from elementary school to junior high to high school has challenges of its own. As I journeyed along with my children, my love was tested, strengthened and developed through the ups and downs they experienced. My love grew from the tenderest feelings for our infants to caring for their needs while juggling other responsibilities, to tough love as they tested boundaries. Mother love survived the smooth and rocky places along the path because, I believe, it originates in God’s love for us all. Ardis: I am seeing this theme poignantly in my life now. Just today I had a conversation with my 15 year old son about this. We had connecting time while attending a doctor’s appointment. I didn’t have any of that with my parents. I am embracing the journey of learning how to mother anew, be a “sister” to Rosa, an “aunt” to Pedro, and a daughter to my stepmother. This journey is connecting me with my heart and allowing me to share it with others. Kerry: Mother love is a journey because life is a journey. There are ups and there are downs; there are moments of joy and moments of sheer pain; but through all of it, love is the foundation. My mom has progressed to the advanced-stage of Alzheimer’s and this is the final destination in our journey. Alzheimer’s is a heartbreaking disease, but I have peace knowing that at the end of my mom’s journey here on earth, she will be rewarded for her lifetime of love. faith, and determination–the gift of Heaven. Loritta: You can’t understand everything from one vantage point. You have to climb that mountain and look back sometimes, and other times you just have to put your hand in God’s and let Him talk to you about what you need to know that only He can reveal in a way that you can receive. Kyleen: Learning to love unconditionally, to bring out the best in your children, to be their cheerleader and to guide them with kindness is not always easy, especially when your own relationship with your mother was strained. Still, it is a noble and worthy endeavor. This is the journey God asks us to take as mothers. When I submitted the manuscript for “Walking My Mother Home,” I knew that the story between me, Rosa and Pedro, my Spanish family, was far from over. The healing I received when my mother passed away created a beautiful bond between Rosa and I that will last the rest of my life. What is so unique about this relationship is that Rosa and I don’t speak the same language, we live 5,300 miles apart, and we have never met. But that is about to change. Next week, almost three years to the day we welcomed Pedro into our home that first summer, I will step on Spanish soil and meet Rosa, my kindred spirit and sister in Christ. It will be the beginning of the trip of a lifetime for me—six weeks in Spain. Over the past two years, since Pedro was last in our home, Rosa and I have continued to communicate via email and online translators. We have both looked forward to the day when we’ll meet in person. Rosa has been learning English to facilitate our communications. I have been writing and blogging more about this story and our relationship across the miles. One of the key pieces of the story that materialized shortly after my mother died was the role that Pedro’s music played in our relationship. As I mentioned in “Walking My Mother Home,” Pedro played the piano while he was in our home. I also mentioned that my oldest son was a gifted pianist. This is significant because Pedro was placed in our home precisely because his musical interest matched with my two sons’ musical abilities. It was a match made in heaven. Pedro played the piano every day he was in our home. My son played Beethoven, Chopin and other classical composers’ music. Pedro was interested in cinema and played American movie soundtracks to films like “The Sound of Music” and “The Sting.” I didn’t know it at the time, but interspersed with his music, he played a few of his own compositions. A few months after Pedro returned to Spain, he sent our family a song he composed and dedicated to us: “Seattle”. This song, and others he started to send me, were salve to my aching heart as I grieved over the death of my mother. His music has become a staple of my life as he writes songs that mark the special occasions in our lives—my own personal soundtrack so to speak. One thing led to another and I soon found myself partnering with this musical protégé. Our joint love for music soon developed into my becoming Pedro’s music manager, the creation of a professional CD of his music, and worldwide exposure on iTunes and other online music sites. That exposure paid off a few months ago when Pedro’s music was noticed by a Spanish film production company. The trailer to Pedro’s debut movie score was released earlier this month. None of this movie business was even a possibility when I booked my flights to Spain, but now in God’s perfect timing, I will be in Spain for the release of his short film, “Thirst for Love”, in July. The focus of my trip from the start was meeting Rosa and being able to connect with her one-on-one about our mutual experience of losing our mothers—from different parts of the world. I know God will honor and bless us as we take this next step of healing and support in our relationship. We will fumble through our language barrier at first, but I trust our non-verbal communication and love will override those obstacles. Pedro spent two summers in my home immersed in American culture and language as part of a short term exchange program. In the summer of 2013, it will be my turn to be the exchange student. And I’m going to meet Rosa…. Truly a match made in heaven. Ever since my “invest in people” nudge from the Lord referenced in “Walking My Mother Home,” I’ve paid more attention to those little nudges. Following that first nudge has led to dramatic changes in my life including my friendship with Rosa, Pedro’s mother, and my one-on-one investing in others who God puts on my path. This is the story of a recent people investment that had profound results. I was pleasantly surprised a few weeks ago when I got a call from Sandra, a new friend my husband and I met at a marriage workshop we recently attended in California. My surprise turned to sadness when I heard her brother had passed away. Sandra had dropped everything to fly to Washington State to see him before he died. On that short trip she hadn’t had time to meet with me, but would be back in town for the memorial service. A few weeks passed and I was surprised to see that the memorial service was scheduled at the country club a mile from my house. Initially Sandra had hoped we would connect over a cup of coffee, but her time was filled with family obligations. That was perfectly understandable. Regardless of that, I knew I would go to the memorial service. I didn’t know Sandra’s brother. I didn’t know her family. I barely knew her. Yet after an intensive weekend together in couples’ counseling sessions, we already had a heart connection. I didn’t consider not going. After hugs on my arrival, she seated me next to a relative and bravely took her position up front with the immediate family. As the service started, I felt a nudge to record the proceedings. That isn’t totally out of character for me. My digital recorder is an indispensable tool for my writing. I didn’t really give it a second thought. Family members read letters filled with sweet stories and memories of Sandra’s brother. 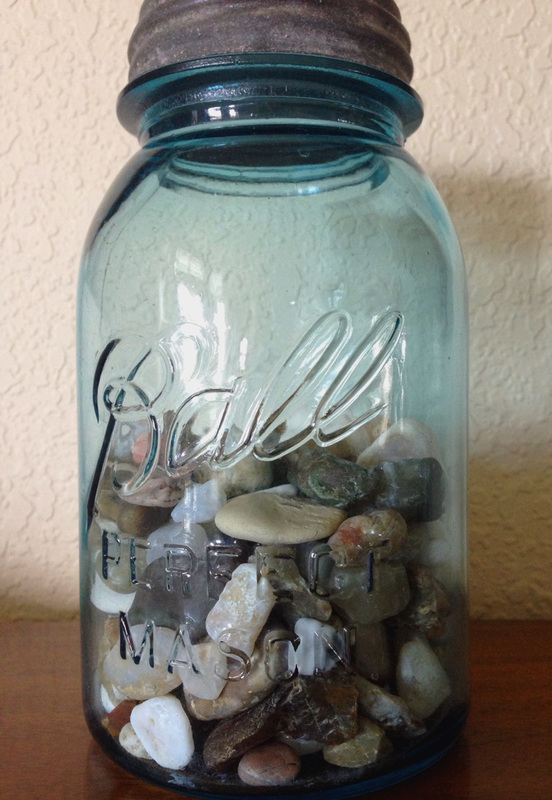 The chaplain shared a story (author unknown) about sand, pebbles and rocks filling up a jar. The point of the metaphor was that the rocks are the important things in our lives—the people and things we can’t replace—and that we should make them a priority. If we fill our lives (the jar) with the unimportant things in life (the sand and pebbles) we won’t have room for the rocks. It was a fitting reflection to end the service. When Sandra and I connected after the service, she mentioned how disappointed she was that her elderly mother couldn’t attend the service. She so wanted to have the service recorded but there were family objections to that. “Really? That’s so sad,” I said. I felt goosebumps as I remembered I had recorded the service. I confessed my transgression to her. She was thrilled and started to cry. Sandra proceeded to tell me how anxious she had been about that for the past few weeks. My recording was answered prayer for her. It was a kiss from above and a reminder of God’s amazing love for us. Sandra and I stole some time together on the deck of the clubhouse overlooking the golf course, basking in the warmth of the sun. We caught up on our lives, prayed for each other and reflected on how perfectly God had filled our jars on that very day with what was truly important—time together and the simple gift of following a nudge to invest in people. What are you filling your jar with? All nine of us participated in this group interview, answering questions posed by Christina Slike, marketing director at Cladach Publishing. We’ve enjoyed getting to know each other better through this process, and so, we hope, will our readers. As mentioned in my story, “Walking My Mother Home,” during the time I was walking through healing in my relationship with my mother I developed a long-distance friendship with Rosa, who lives in Spain. Rosa’s mother, Carmen, passed away a few weeks before my mother. 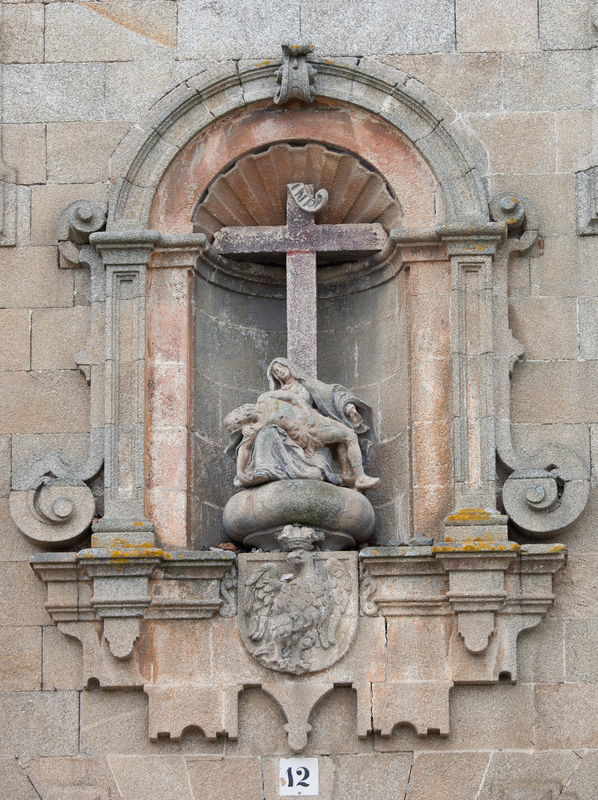 The connection with Rosa led me, a Protestant, to a Catholic Church to pray on bended knee and release my mother to the Lord. It was at this exact time that Carmen’s funeral was proceeding in Spain. Rosa’s and my relationship was born out of sorrow, nurtured by prayer, and sealed in love. It was perfectly timed to help me heal the void and loss in my heart caused by never really knowing my mother as a person and not being able to have a relationship with her. Her death brought out a lot of feelings and the Lord has been faithful to heal and give me a fresh start. Rosa, though, was close to her mother. Two years later, Rosa is still grieving the loss of her mother, Carmen, who was a significant part of Rosa’s life. Carmen was the family matriarch, surrounded by a large Catholic family that loved her. The loss was great not only for Rosa, but for Rosa’s father and the rest of the family as well. While my burden is light, Rosa’s is still heavy at times as she alternates live-in care giving with her sister for their aging father. One way or another, life goes on for both of us. My relationship with Rosa has become a beautiful testimony to the legacy of mother love and of the Lord’s love for us. Our lives intersected in a painful and poignant way. When I first heard of her mother’s terminal illness, I knew God wanted me to come alongside Rosa in her grief. It was not easy to be so vulnerable with her—someone I never met, who lived 5,300 miles away, spoke a different language and belonged to the faith (my mother’s faith) that I had turned my back on many years ago. I feared rejection. Yet God called me out of my comfort zone to extend a heart of compassion to her. And I’m glad I did! My first birthday after my mother passed away was my 52nd birthday. As I wrote in “Walking My Mother Home,” I cancelled my 50th birthday party to stay in St. Louis and spend my birthday with my mother. I wanted to shower her with love and devotion like I am sure she did for me when I was born. Of course my friends understood. When I originally cancelled the party, my friend Janet, the hostess, offered to host the party after I returned. I accepted her offer, but with my mother still painfully hanging on to life, having a party was not something I wanted to do very soon. One year later, I quietly celebrated my 51st birthday with no fanfare and with much reflection on my visit the previous year. The months continued to pass and my mother passed away in February 2011, as I described in my story. The revelations I experienced as a result of that journey have led to a transformation in me and birthed my desire to write and to boldly celebrate God’s healing power. When my 52nd birthday approached in November 2011, I felt it was time to celebrate. Janet again offered to host the party. This time the party was totally different than the planned original. It was a sentimental and unconventional birthday party. This party was held with a small group of friends who had prayed for me and watched the journey unfold with my mother. I planned several surprises for these friends including an appearance by my Spanish “family,” Rosa and Pedro, via Skype. Rosa read a note of birthday wishes she composed in English. That was her surprise for me. I did a reading from a short story about the cross pendant I received from my Spanish family and its significance. Pedro translated the story for his mother. There wasn’t a dry eye in the room. We ended the day with these faithful prayer warriors anointing my writing for “Walking My Mother Home,” my first manuscript, which at that point was barely a work in progress. 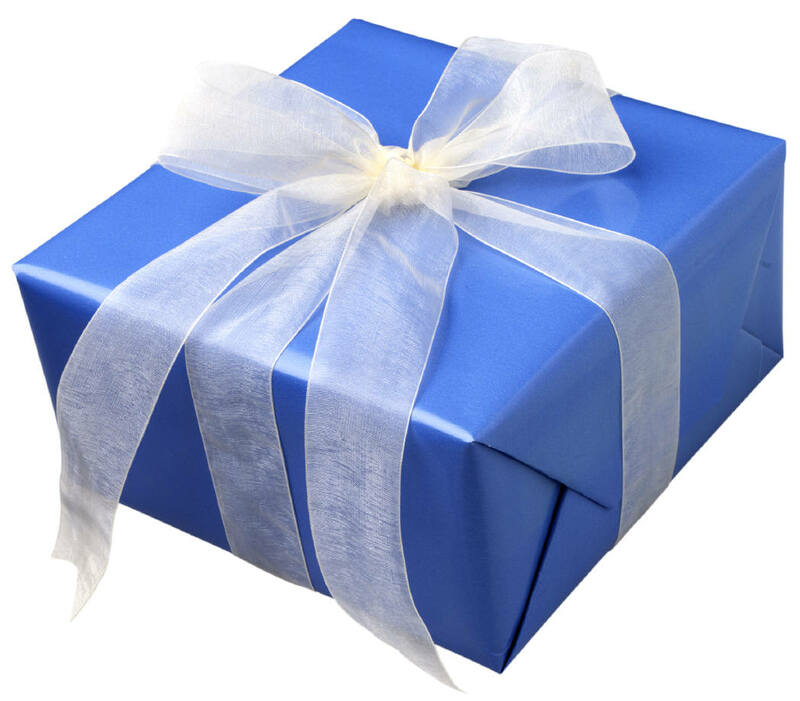 On this day of celebrating my new identity revelations, I didn’t want any physical gifts from my friends, just their presence. But I did receive one very special gift of the heart that day. When I woke up on the morning of my birthday party, “Ardis’s Song,” a song composed by Pedro, was waiting for me in my email. It was the perfect melody to capture the inner transformation I had experienced—starting slow and ending with a cheerful melody. So I started the day with tears of joy in my eyes and ended it anointed and re-purposed to share God’s story in my life. Celebrating milestones like turning 50 are a common occurrence in our lives. If you approach life from a viewpoint that every day is a gift, you will see that there are so many milestones in our lives worth celebrating. As an avid scrapbooker and photographer, I capture most of life’s milestones through the eye of the camera lens. With the addition of Pedro’s music, I now have a “soundtrack” that goes along with it. I encourage you to celebrate and commemorate the milestones in your life—no matter how big or small. We can cling to these milestones, along with God’s Word, when times are rough. What about you? What kind of milestone in your life are you experiencing today? How are you celebrating? Who are you sharing it with? One weekend I visited a friend who’d lost her husband years before. I was widowed by then, also. My grief over losing my husband awakened other griefs and losses, especially the loss of my mother who died before I was born, and later the loss of my step mom. Nancy and I discussed how we might spend the day that Saturday. I suggested we have lunch at a Mexican restaurant where our children had taken us. The food was delicious and memorable. I was delighted at the prospect of introducing my friend to a new restaurant. she wanted to inter the ashes of her husband, Al. She and her three girls used the burial as an occasion to celebrate all that Al meant to them and what he’d contributed to their lives. It was a meaningful experience for them. I was moved, just listening to the details. Nancy wanted to show me the place. After lunch, as we drove toward Al’s grave, she pointed out monuments of notable people, names I recognized from the past. She talked about the historical significance of the cemetery, where many of the town’s founders and political figures were buried. The road led to the top of a hill overlooking a spectacular view of Oakland. I could picture the interment ceremony: Nancy and the girls, sitting on the grass, reading their thoughts to each other. There on the quiet plateau Al had been honored and loved once again. It was the right place for him to rest! Something about Nancy’s words—and this place—triggered a memory of a conversation with my sister years ago. She had discovered my birth mom’s burial place in a run-down cemetery somewhere near where Mom and Dad had once lived, which was very near where my friend and I now stood! Could this be the place where my real mother was buried? But this wasn’t a run-down cemetery without a name! As I told Nancy what I was thinking, we both had an adrenaline rush. We could inquire at the office, but it would be closing soon. We hurried back to the car and down the hill. The attendant was glad to help. She asked what year Mom (Ellen) had died, then pulled a large, gray journal from its place on the shelf. Next she asked the exact date, found the page, and looked through names written in beautiful script. Under the name, “Lewis,” several people were listed, and then her finger pointed to “Ellen.” There it was! I was stunned. How could I not have known it all these years? Hardly able to take it all in, yet aware of the lateness of the hour, and the need to locate my mother’s grave quickly, we went in search of the location the woman gave us. It was harder to find than we expected. Some of the numbers weren’t in sequence and some of the names were overgrown with grass and ground cover. Nancy was ready to call it quits, but I had an idea. At last I found it! Inscribed below her name was something written in Norwegian. I would later find out it meant “dearest”—the way Dad started his letters to us. Deep inside, feelings of recognition and truth settled down. He had loved her, and he had lost her, and now I knew how it felt. I love you, Daddy. I’m sorry you had to live with that pain for so many years. Dad later married Mary, a neighbor and good friend of my real mom. Mary was the only mother I knew, and I’m sure I didn’t appreciate her as much as she deserved. Yet for many years I gave back as best I could until she died shortly after her 100th birthday. 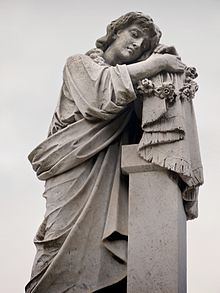 Mary made arrangements years before her death to be cremated and her ashes interred beside her son, Billy, at Chapel of the Chimes in Oakland. I was responsible for the final details, and would occasionally stop by to visit and think back on what a blessing she’d been to our family. Nancy and I were silent as we walked back to her car. Lost in our separate thoughts, we drove past the tall, ivied walls and through the cemetery gates. Out the corner of my eye, something caught my attention. I turned and saw a building of unusual architecture. 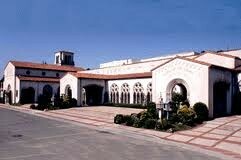 It looked like a Julia Morgan. It was. 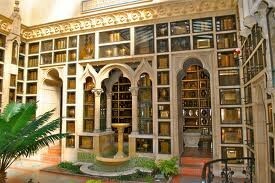 The Chapel of the Chimes! Again, I was deeply stirred. Only this time with joy! Both my moms were friends and neighbors in life, and now these friends were neighbors in death—side by side, waiting for the Lord’s return. One day in heaven I will greet them both with a hug, and we shall walk arm in arm and side by side for eternity.